Rusty wrecks are scale model miracles! After more than a decade in car sales, Scott Fuller changed career path and headed into the mining industry, but he needed an outlet for the petrol still flowing through his veins. 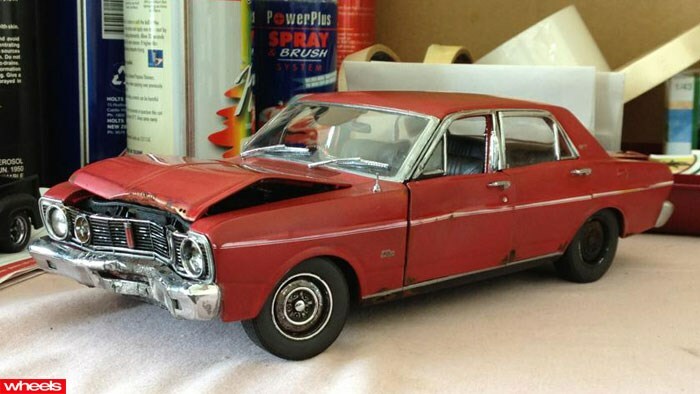 Inspired by an aging model of a Holden Monaro that used to sit on his office desk, Fuller decided to take a new model and see if he could replicate the real-world look of a classic car that’s seen better days. The results are simple amazing, with rust, dents, grimy trim and oily engines added with convincing realism. They’re so good, even a lucrative mining job may go by the wayside as this ‘side business’, Custom Wrecks, grows. Click HERE to check out the Custom Wrecks Facebook page, and HERE to visit the eBay store.